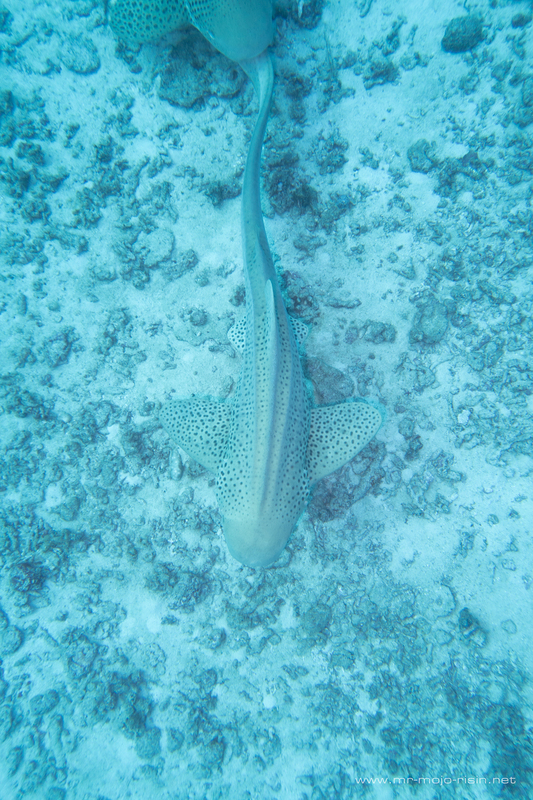 During our dive safari through the Similan islands, Tachai island and Surin National Park we did not encounter sharks like white or black tips or grey reef sharks. Which is very sad and frightening at the same time and shows the influence of commercial fishing and the finning poachers. 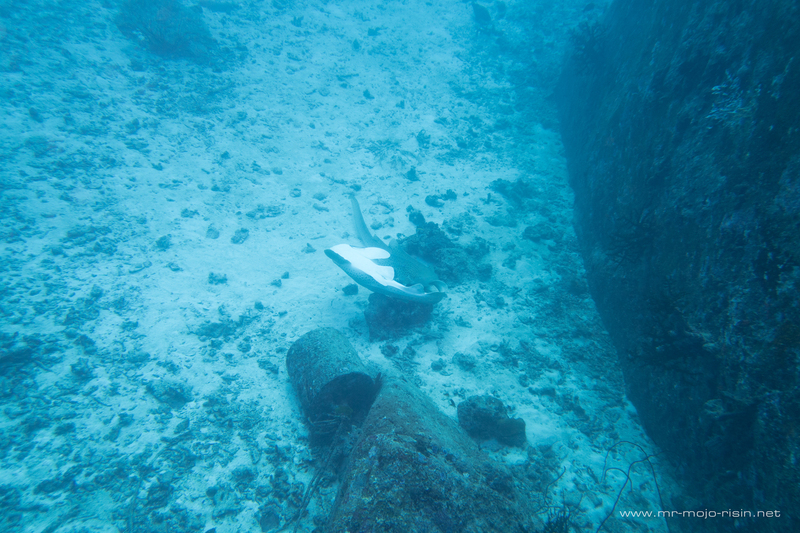 The dive guides told me, they noticed a significant decline in shark encounters in these waters. 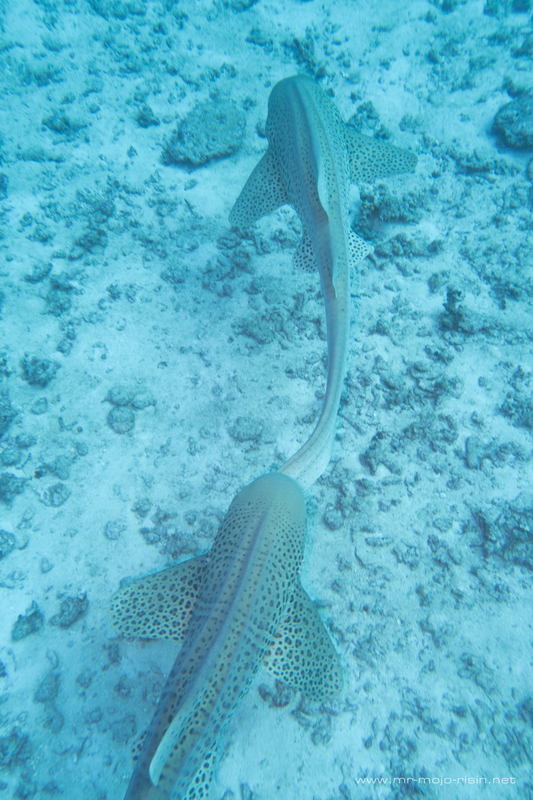 During a morning dive we stumbled over two leopard sharks deeply engaged in their foreplay. 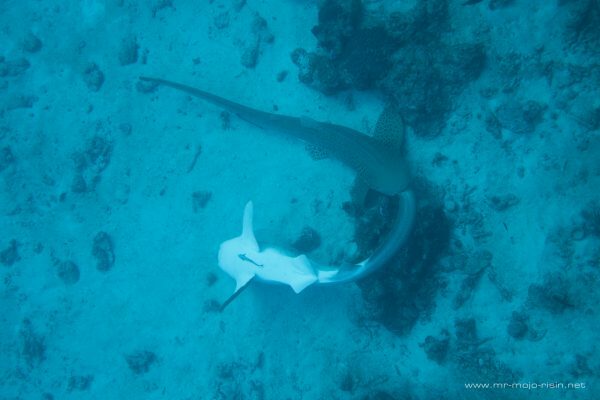 The male shark had snapped the tail fin of his loved one – I am sure he did that as tender as he could! Here is more information about the reproduction of leopard sharks. 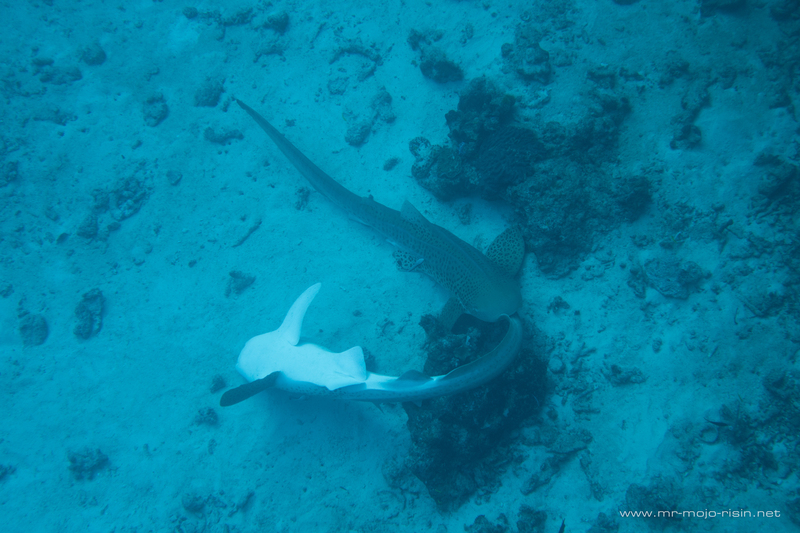 Anyway I was quite happy to see these leopard sharks taking action themselves and not relying on humans as Panda bear’s do to prevent them from extiction. So on the following images you can see what leopard shark like as foreplay. In order to get really naughty they were probably heading for a more quiet place. But I wish them all the luck they need and that their efforts will be rewarded by a lot of spotted and sharp toothed kiddies! He did not let loose the tip of her fin. 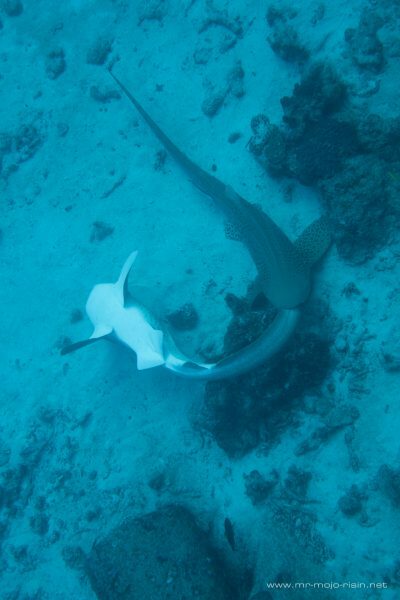 Compared to other species their flirtation looked quite peaceful, others look more like they would fight. 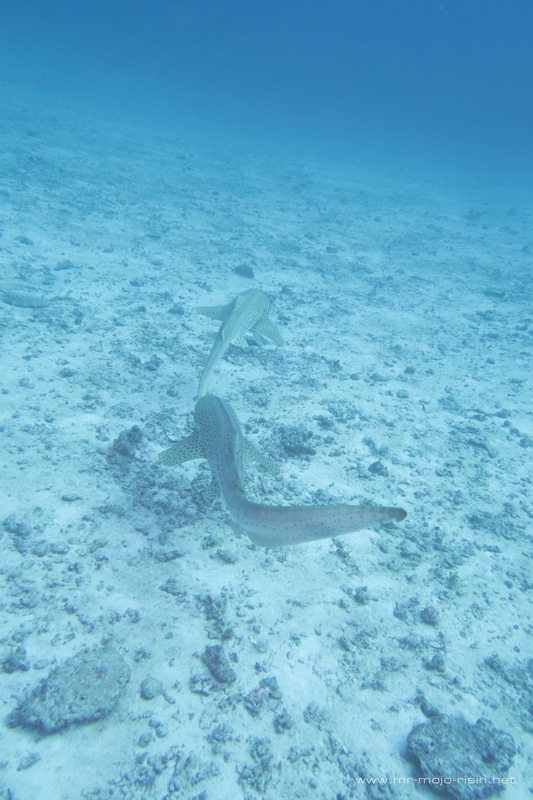 We tried to keep a maximum distance, in order to keep the disturbance due to our presence at a minimum level. 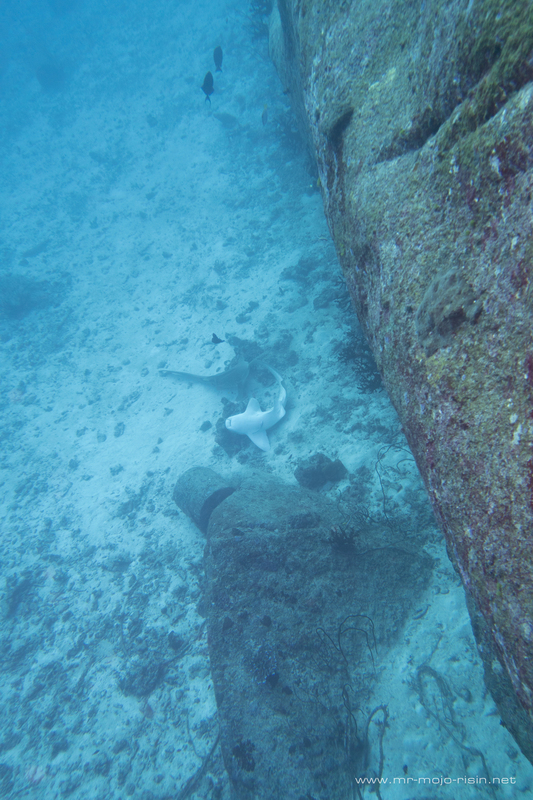 As they went off, I was lucky and they passed about 5 m below me. 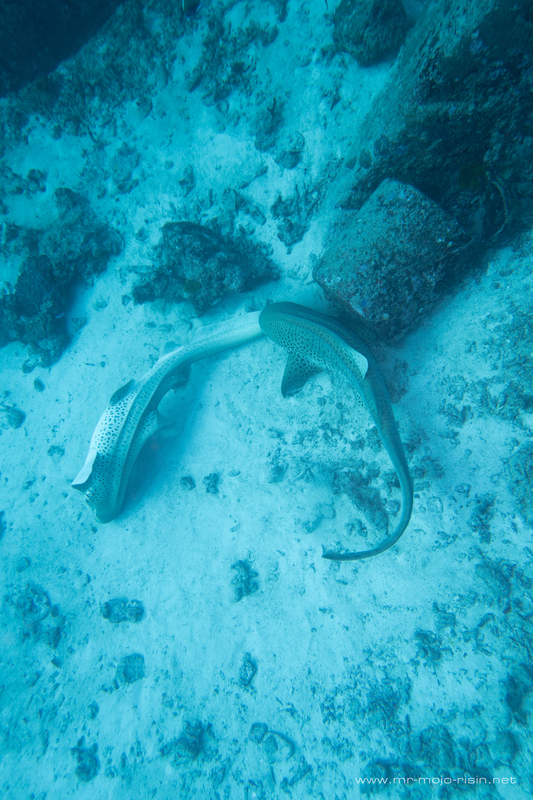 The male Leopard sharky was really clinging to his chosen darling. Have fun and good luck on your mission! Here is the video footage, my dive buddy made. Get ready for some raunchy shark action! 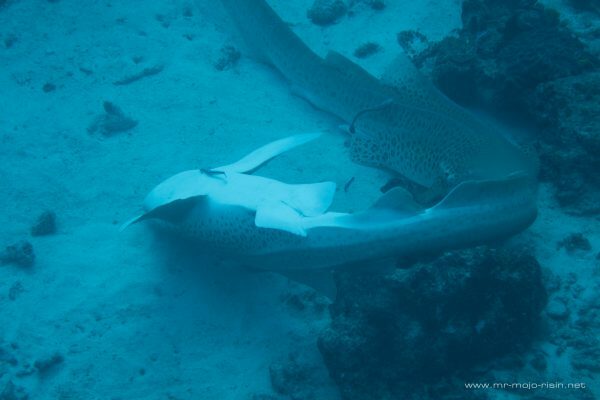 If you are fascinated by these beautiful creatured, please check ou this short post about helping sharks in their struggle for survival!